The most realistic tactical simulations today. We are dedicated to developing the best tactical computer simulations in the world today. It is our firm belief that realistic does not have to mean slow and unplayable. We also believe that a playable wargame does not have to be arcade-like and unintelligent. Every product we produce will challenge players intellectually and strategically. Battle Group Commander, Episode One Goes Gold! Now available for immediate download from Shrapnel Games. Publisher Shrapnel Games and developer ProSIM Company are extremely proud to announce the launch of a brand new episodic series of modern warfare simulations for the PC entitled Battle Group Commander. Battle Group Commander: Episode One is designed by Gary Bezant, former member of the British Army and designer of the controversial ProSIM title, The Falklands War: 1982 (also published by Shrapnel Games). Episode One allows players to step into the boots of a Battle Group Commander and fight a Soviet-style enemy in the Salisbury Plain Training Area of England (analogous to the NTC in the US). This game represents the first title in a new philosophy of gaming for ProSIM Company. In the past, people have expressed frustration with the long delay between releases, so we have decided to try a new distribution model. We are working on several serial "mini-games" that will be released in installments of 3 or 4 scenarios. This will also gradually increase the number of maps and vehicles for scenario builders to work with. Finally, in tough economic times, this allows folks to try our games for under $15, too! 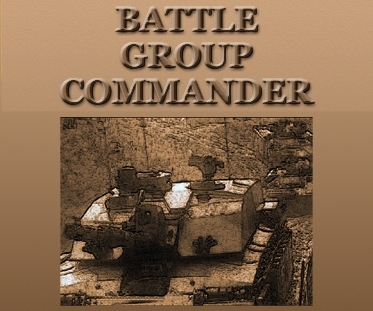 The first installment in this new line of products, Battle Group Commander, Episode One features four scenarios built around elements available to a battle group commander. Each scenario covers a different aspect of operations with some scenarios featuring units predeployed and others allowing the player to deploy prior to scenario start. The database features almost all of the equipment currently in use with the British Army so there is lots of scope for would-be scenario builders. Since this title contains only four scenarios, we will not be producing a DEMO. However, since the game uses the Air Assault Task Force Engine, you can try out the game mechanics with that demo. To download the DEMO, click here. Build maps for both the Armored Task Force and Air Assault Task Force Engines! We are proud to offer two great new map-making tools for all of those budding scenario developers out there. First, we have uploaded instructions for creating ATF and AATF maps using SRTM Digital Elevation Models (DEMs) that are freely available from USGS. Second, we have uploaded a great new tool, that allows you to create your own USGS DEMs! This innovative tool, created by one of our more industrious fans, allows you to create elevation maps from bitmap drawings that can be created in Paint or any other simple drawing program. To check out these great tools, click here. Air Assault Task Force Goes Gold! Gold Disk shipped to Shrapnel Games. Shipping Soon! We have completed work on our newest commercial release and our first new game engine in three-and-a-half years. Air Assault Task Force explorers the history of helicopter-borne infantry operations, from Vietnam to Afghanistan. Take LZ X-Ray, rescue an isolated Ranger company in Somalia, defeat Al Qaeda remnants in Operation Anaconda, and much more. This newest addition to the ProSIM family is a complete rethinking of the "command realtime" tactical simulation that made us famous. We started from the ground up, keeping all of the realism which has made our simulations the first choice for miltiary contractors and the world's armies alike for over a decade. Then, we completely redesigned the way the player interacts with the game. The result is a game as playable as the simplest RTS while as deep as the deepest wargame: Air Assault Task Force! In preparation for the release of our newest title, Shrapnel Games is offering $5 off for all pre-orders. To pre-order your copy today, click here. Barring any unforeseen publishing issues, the game should ship before Christmas! To whet your appetite, we have also created a playable DEMO for Air Assault Task Force. This DEMO contains only two scenarios, set at the Joint Readiness Training Center at Fort Polk, Louisiana. The first is an airfield seizure. The second is an air assault on the fabled city of Shughart-Gordon. Both of these scenarios also ship with the release version of the game. The Flash-based tutorial is also included with this DEMO version. The DEMO lacks the full featured scenario builder, multiplayer (up to 10 players), and 100-page printed manual that will ship with the release version of the game. Also, unlike the release version, it cannot be installed over our previous, ATF Engine games to instantly upgrade those games. To download the DEMO, click here. Stay tuned to the AATF website for updates on this ultra-realistic game. We will be frequently posting updates on the latest news and press releases about the game. Updates for All of our ATF Engine Titles! Upgrades Available at Shrapnel Games website! As we went through the development cycle for Air Assault Task Force, and took what was best from the ATF Engine, we identified a few things we could "police up" in the ATF Engine games. As we have completed development of Air Assault Task Force, we are now able to release all of these improvements to our earlier games, as free upgrades. These are all cumulative upgrades, so you do not have to install previous upgrades. They are included in these new upgrades. Below are the links for the downloads page for each title. See those pages, and the "Read Me" file for each game, for a list of the major upgrades in each title. As a reminder, for all of those who install all of the games on top of one another (to permit playing of older scenarios in the newer engine), you will need to reinstall the release versions of the games as well. Use this install order (omitting any titles you don't have--shame on you--and their respective patches). When you get Air Assault Task Force, you can install it on top of all of these previous games, and play all of the older scenarios in the AATF Engine, complete with the upgrades it provides. A sneak preview of Air Assault Task Force! As we approach release on this newest addition to the ProSIM family, we thought we would give all of our fans a sample of what was in store for the final release. We have just released the BETA DEMO version of Air Assault Task Force. This playable DEMO contains only two scenarios, set at the Joint Readiness Training Center at Fort Polk, Louisiana. The first is an airfield seizure. The second is an air assault on the fabled city of Shugart-Gordon. Both of these scenarios also ship with the release version of the game. The Flash-based tutorial is also included with this DEMO version. Stay tuned to the AATF website for updates on this ultra-realistic game as it nears release. We will be frequently posting updates on the production schedule, latest news, and press releases about the game. New Air Assault Task Force screenshots! As we approach release on this newest addition to the ProSIM family, we have posted several updates on the project to the Air Assault Task Force website. First off, we have posted some new screen shots of this revolutionary engine. To check them out, click here. We have also updated the production schedule. To check out the updates, click here. Stay tuned to the AATF website for updates on the features that will be included in this ultra-realistic game. We will be frequently posting updates on the production schedule, latest news, and press releases about the game. The wargaming world is abuzz as this newest ProSIM Company game nears release. In fact, we have had so many questions that we are launching a new website to track the development. To celebrate the new launch, we have posted some first-ever screen shots of this revolutionary engine. To check them out, click here. And keep coming back to the site, because we will be releasing an Alpha Technology Release soon. This "sneak preview," pre-BETA version, as soon as it is available, will be offered at the Air Assault Task Force website before it is available anywhere else. The Star and the Crescent BETA Test Is Here! The team has been assembled and is hard at working on the ground-breaking release. The Star and the Crescent development team has completed work on the coding and is ready to begin post-production work. As part of this process, they have assembled a team of BETA testers to help eradicate bugs and make final tweaks to the interface. Shrapnel Games has assembled a team of highly qualified gamers to complete play testing of this title. In the meantime, we are hard at work on a free demo for download to anyone, to give you a taste of what's to come. Stay tuned to this site and the Shrapnel Games homepage to find out as soon as the demo is released. Stay tuned to the TSATC website for updates on the features that will be included in this ultra-realistic game. We will be frequently posting updates on the production schedule, latest news, and press releases about the game. As soon as screenshots are available, they will be posted at this new website first. And keep coming back to the site, because the demo version, as soon as it is available, will be offered at The Star and the Crescent website before it is available anywhere else. To check it out, click here. The Falklands War: 1982 Complete! Game completed and sent to Shrapnel Games for post-production. The Falklands War: 1982 development and BETA test teams have completed work on this definitive work on this South Atlantic conflict. The game has now shipped to Shrapnel Games for printing. In the meantime you can check out the playable demo. This demo version includes two missions, a tutorial which recounts a historical raid of the SAS on Pebble Island and an infantry slug-fest over the key terrain of the "Two Sisters". You can download this DEMO by clicking here. Right now, Shrapnel Games is offering a special on pre-orders of The Falklands War: 1982. You can purchase the game for $39.95. That's $5.00 less than retail! They will even pay the shipping. To take advantage of this great deal, click here. The Falklands War: 1982 BETA Test Is Here! Enroll now to be there when The Falklands War: 1982 is born. The Falklands War: 1982 development team has completed work on the coding and is ready to begin post-production work. As part of this process, they will be assembling a team of BETA testers to help erradicate bugs and make final tweaks to the interface. If you aren't selected, don't worry. As soon as we have the product together, we will be offering a free demo for download to anyone, to give you a taste of what's to come. Stay tuned to the TFW website for updates on the features that will be included in this ultra-realistic game. We will be frequently posting updates on the production schedule, latest news, and press releases about the game. As soon as screenshots are available, they will be posted at this new website first. And keep coming back to the site, because the demo version, as soon as it is available, will be offered at The Falklands War: 1982 website before it is available anywhere else. Raging Tiger Version 1.14 Released! ProSIM Company releases an update to its latest release. We have just completed our second update to Raging Tiger: The Second Korean War. Version 1.14 includes all of the updates in Version 1.05 of Armored Task Force. It also includes the following. Fix->Mounting Crash. Mounting units in the scenario builder was causing a crash. This has been fixed. Fix->Locked Units. Units and hierarchies locked with the “No Player Input” or “Fire Missions Only” lock type no longer permit path planning or Mission planning. Fix->Mounted Units and Conditions. An error caused mounted units to be excluded in counts for victory conditions and other purposes. This has been rectified. Fix->Dismount Radius. The “Dismount Radius Rule” was not behaving correctly after loading a saved game. Also changes to the “Dismount Radius Rule” after it has already been added are now immediately reflected in the edited scenario in the Builder. This is just a fraction of the total upgrades in Version 1.14. To get it now, click here. You extract all of the files from the .zip package to a temporary folder, first. You specify the Raging Tiger install directory. The installer will not figure this out for you! Armored Task Force Version 1.05 Released! ProSIM Company releases an update to this modern classic. We have just completed a new update to Armored Task Force. Version 1.05 includes several long-awaited features and a fixes to some minor issues from previous releases. Here are a few of the larger updates. Position Area Formation. The Position Area formation has been refined in several regards, including to better use terrain, better replicate light infantry operations, and better position mortars. Scenario “Flipping”. Tools have been added to the Armored Task Force Scenario Builder, to allow users to flip scenarios so that “red” forces are played by the player, and “blue” forces become AI-controlled (users will still have to script Faction AI for computer-controlled forces, however). Protected Mode Startup. We have added shortcuts that start Armored Task Force, the ATF Scenario Builder, and the ATF Power Toolkit in ‘Protected Mode’. This is intended for players that experience problems with their video cards that require disabling of hardware acceleration. You can find these shortcuts in a sub-menu of the ‘Armored Task Force’ folder in the ‘Programs’ menu. Fix->Breach Path-Finding. Units frequently got “hung up” in obstacle breaches. We have improved this path-finding routine. Fix->Artillery Traverse. Traverse times for artillery fire missions were not being computed properly. If one limit was set to “0”, this bug could cause a crash to desktop. Fix->Import Database. This function no longer causes a hard crash to desktop. Fix->Auto-Generate SBF. An error caused the map builder in the Power Toolkit to ‘hang’ when creating new AI Maps. Fix->Aircraft on the Ground. Line of sight calculations for fixed- or rotary-wing aircraft now includes both line of sight and terrain calculations. Also, an ‘On the ground’ notification has been added to aircraft info windows. Fix->Enemy Road Craters. Adding enemy road craters to a scenario caused a crash to desktop. This has been corrected. Fix->Number of Breaches. Changing the number of breaches in an engineer vehicle in a database now updates the units of that type in each scenario that is loaded. Fix->Smoke Crash. In the scenario builder, giving the ‘smoke’ order via a hierarchy context-sensitive menu caused a crash. This has been fixed. Fix->FC Paste Crash. Giving the ‘FC Paste’ order (from the ‘SOP’ menu) in the Scenario Builder no longer causes a crash to desktop. Fix->Indirect Fire Randomness. Code has been added to make the impact points of indirect fire more ‘random’. Fix->Duplicate Hierarchy Names. Adding packages and pasting units in the Scenario Builder could potential cause hierarchies in one faction to have the same name as factions in another, which could cause errors when issuing hierarchy orders. Code has been added to detect and correct this error. Fix->Disappearing Units. When canceling ‘Edit’ from the ‘Units’ menu, units were not turned back on for drawing until the main window was updated by scrolling or some other method. Fix->Save Game Reset. Saving and reloading a game reset all of the artillery ammo for a scenario. This has been corrected. Fix->Start Order. The ‘Add Package’ function now adds a ‘Start Time’ order, with a time, to the base nodes of the units and hierarchies added, for neutral and enemy packages. Fix->Mission Objectives. Time mission objectives are now correctly described in the ‘Results’ page at the end of the game. 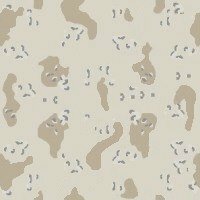 Fix->Spot Report. The spot report log had a typo with two ‘an’s on observed enemy or neutral units. This is just a fraction of the total upgrades in Version 1.05. To get it now, click here. You specify the Armored Task Force install directory. The installer will not figure this out for you! ProSIM Company Lays Out Its Future. ProSIM Company tells all at the Shrapnel Games Blog. ProSIM President, Pat Proctor, penned an article for the new Shrapnel Games Blog which lays out the future for the company over the next two years. Here's an excerpt. "After the release of Armored Task Force, I began to feel that we were selling our fans a bit short. We were absolutely putting our all into each game, but that took time. As a result, we were averaging three years between releases. And no matter how much content or how many scenario building tools you put in a game, that is just too long to make a fan wait for a new game. "The result was the ATF Engine Project. The idea was simple. We would find teams that were as passionate about wargames as we were, arm them with the tools they needed to make their ideas a reality, and provide top-quality games to our fans. Here were the principles that we decided on when we began the project. Each game would bring innovation. Each game would have the same meticulous attention to detail that our previous releases have had. Scenarios and tools built for earlier releases would work in each new release. "As for the ProSIM Company’s core developers, the idea was that we would deliver a set of code changes to each game in the ATF Engine Project, extending the usefulness of the Engine to multiple genres and situations, and then go, full bore, into development of Air Assault Task Force, while the ATF Engine Project games took shape." The article goes on to talk about some soon-to-be-released titles, features of Air Assault Task Force, and some projected release dates. Raging Tiger Version 1.13 Released! We have just completed our first update to Raging Tiger: The Second Korean War. Version 1.13 adds a number of features and corrects a few minor problems with previous releases. OPORDs. We’ve placed "Continue" button at top of flash OPORD files to facilitate clicking-through the OPORD. Breaching. Breaching has been smoothed so that vehicles are less likely to get “hung up” in obstacles. Where’d They Come From. This scenario had a mis-linked map file. This has been fixed. Boats on Land. “Water Only” vehicles could travel on land. This has been fixed. Amphibious Unit Movement. A bug caused amphibious units to travel very quickly on water when in formation or March Speed. This has been corrected. Amphibious Vehicle Specs. We have corrected some errors in how data was displayed for amphibious units. DirectX Links. We have also incorporated the video fix that we released in July of this year. In the "Programs" folder for Raging Tiger, new links are added to run the game in "protected mode", for those users experiencing video problems on their machines. This is just a fraction of the total upgrades in Version 1.13. To get it now, click here. ProSIM Company announced today that its hit wargame, Armored Task Force, was selected by, and is currently in use by Lockheed Martin Aeronautics Company as a ground combat model to test advanced approaches and weapon systems for close air support. To find out more about Raging Tiger: The Second Korean War, click here. To find out more about Armored Task Force, click here. Video Fix for Raging Tiger and Armored Task Force! We have completed work on the most anticipated wargame release of 2004. The BETA test team has completed its work and Shrapnel Games is now in post-production of our next commercial release, Raging Tiger: The Second Korean War. This game explorers the very real possibility of a near-future war on the Korean Peninsula. It adds tons of new features to the ATF Engine, including amphibious operations and reinforcing units after game start. And stay tuned to the Raging Tiger home page for the latest news on this game. We have just posted a ton of new screenshots for the most anticipated release since Armored Task Force hit the streets two years ago. Get an exclusive first look at Raging Tiger, our upcoming commercial title, scheduled for release in late June of this year. To see the screenshots, click here. And stay tuned to the Raging Tiger home page for the latest news on this game. Raging Tiger BETA Test Is Here! The Raging Tiger development team has completed work on the coding and is ready to begin post-production work. As part of this process, they will be assembling a team of BETA testers to help eradicate bugs and make final tweaks to the interface. We are looking for players experienced with previous ProSIM Company products, such as BCT Commander or Armored Task Force. (No biased toward paying customers ;-) We just haven't finished the help files yet and it will be easier for these players to pick up gameplay.) If you aren't selected, don't worry. As soon as we have the product together, we will be offering a free demo for download to anyone, to give you a taste of what's to come. To sign up to be a BETA tester <CLOSED>. The wargaming world is abuzz as this newest ProSIM Company game nears release. In fact, we have had so many questions that we are launching a new website to track the development. Stay tuned to the Raging Tiger website for updates on the features that will be included in this ultra-realistic game. We will be frequently posting updates on the production schedule, latest news, and press releases about the game. As soon as screenshots are available, they will be posted at this new website first. And keep coming back to the site, because the demo version, as soon as it is available, will be offered at the Raging Tiger website before it is available anywhere else. To check out the new website, click here. Shrapnel Games and ProSIM, today, announced the next title in the ATF Engine series of modern real-time strategy titles for Windows, War in Afghanistan. War in Afghanistan is possibly the most ambitious and informative ProSIM game yet, featuring over a century of regional conflict in one amazing package. War in Afghanistan will generally focus on Operation Enduring Freedom, but will also include "prequel" missions from the British occupation in the 19th century, and the Soviet occupation in the 20th century. An interesting aspect of War in Afghanistan will be the treatment of the scenarios. While many wargames will provide a paragraph or two of color commentary which sets up the player, and may or may not provide a historical context, War in Afghanistan will feature extremely content-heavy scenarios. Setting up the scenario will be aerial photos (actual if possible) of the operations area, ProSIM's well-known highly detailed order briefings, briefing slides, intelligence estimates of enemy force composition, and more. Additionally, each scenario will feature historical notes on how the operation actually played out (if a historical scenario), and will even include helpful hints in the form of "commander guidance" notes for those having a tough time raising the flag of victory in a particular scenario. ProSIM Company announced today that its hit wargame, Armored Task Force, was selected as the high-fidelity tactical simulation engine for a training system called V-CTC (Virtual Combat Training Center), being developed by Teknowledge Corporation (Nasdaq: TEKC) as part of a DARPA Phase II Small Business Innovation Research project. The V-CTC seeks to combine an ultra-realistic combined arms, combat simulation and an intelligent tutoring system to provide an engaging, realistic, and rich training experience for combat leaders. ProSIM Company's title, Armored Task Force, will be the tutor's combat simulation engine. It will provide an instrumented battlefield for the tutor to observe and monitor trainee performance in real-time mission scenarios. The developer is currently hard at work, making small modifications to the system to allow it to communicate with Teknowledge's intelligent tutoring system. Armored Task Force Version 1.04 Released! ProSIM Company releases an update to its latest release. We have just completed yet another update to Armored Task Force. Version 1.04 adds a number of features and corrects a few minor problems with previous releases. This is a cumulative update, meaning that you do not need to download and install any previous upgrades. To get it now, click here. We have also updated the demo version of Armored Task Force. So, if you haven't decided to buy ATF yet, and would like to take a second look, click here. ProSIM Company announces The Falklands War: 1982. Slated for release in early 2004, ProSIM and Shrapnel Games take you back in time to the amphibious invasion of these South Atlantic islands. The Falklands War took place in 1982 and began when Argentina invaded the islands on April 2nd. The conflict lasted until June 13th, which saw the British forces victorious and the Falklands recaptured. The war itself was a curious mixture of modern, high-tech warfare (the sinking of the H.M.S. Sheffield due to an Exocet attack) and low-tech, in your face battles that could have taken place in any conflict over the past fifty years. The British were outnumbered on the ground, and were for the most part without true air cover, having only the aircraft that came with the task force. The amphibious operations were a potential disaster, as the landing fleet had been rapidly assembled for the upcoming conflict, with many of its members originally destined for the scrap yard. Yet training and valor carried the day, and in the end the British took the islands back and captured over 11,000 prisoners. Thunder & Lightning: The Battles of Operation Desert Storm Announced! As the name suggests Thunder and Lightning will cover the war between Coalition forces and the Iraqis after the latter's invasion of Kuwait. Playable from both sides for a truly in-depth examination of the war, the majority of scenarios are historically based. Most wargamers will probably recognize names like Al Khafji, 73 Easting, and Medinah Ridge, all of which are but a sample of the scenarios to expect. Additionally, Thunder and Lightning explores many hypothetical situations, such as an early thrust into Saudi Arabia by Iraqi forces when only lightly equipped U.S. airborne forces were on the ground. Some of our great fans over at WarefareHQ.com have banded together to build a new Armored Task Force resource center. At this site, you can find all kinds of database, downloads, and tools for Armored Task Force. To inaugurate this new site, we have added a bunch of 'XDM' files to their map section. These map files allow you to build your own, custom ATF maps, using the ATF Power Toolkit. To see the new site, Armored Task Force HQ, click here. We also highly recommend their Armored Task Force/Brigade Combat Team web forum. To check it out, click here. Raging Tiger: The Second Korean War Announced! Raging Tiger: The Second Korean War is slated for a June 2004 release. Using the highly praised Armored Task Force game engine as the starting layer Raging Tiger promises to be the best ProSIM title to date, thanks to its lavish attention to detail and playability. For example, Raging Tiger will not use slapped together homebrewed maps that supposedly represent the terrain in Korea. No, gamers can fully expect concise maps that are based on real world digital maps. ProSIM has even acquired Russian military maps for the utmost in authenticity! We have built this scenario pack as our way of saying “Thank you” to all of the great Armored Task Force fans that have supported this game system since its inception. We hope that you will enjoy this additional content as much as we enjoyed building it. This Scenario Pack is compressed in a compressed ZIP format. If you have Windows 2000 or Windows ME or later version of Windows, it will appear as a ‘compressed folder’. Otherwise, you will have to have a decompression utility such as WinZip in order to unzip it. When you extract the files, extract them to the ‘Data’ subdirectory of the Armored Task Force install directory on your computer. That’s it! If you did everything right, two new scenarios, ‘Bihac 1’ and ‘Saudi Arabia 1’ should appear listed with your other scenarios when you start Armored Task Force and select ‘Begin a New Game’. To download it, click here! We have just completed work on the Version 1.03 Upgrade for Armored Task Force. It is a part of a concentrated effort to greatly improve the total content for this newest commercial release and comes on the heels of the ATF Scenario Builder help pages and free ATF Scenario Pack. It is intended to address a few remaining issues from version 1.02, as well as add some more content for users of the ATF Power Toolkit. We've also updated the demo version of Armored Task Force. So, if you haven't tried ATF yet, or tried it and had reservations, we encourage you to check it out. You can download it here. It's finally here! ProSIM has just completed work on new online help pages for its scenario development tools, ATF Scenario Builder and ATF Power Toolkit. These pages are a step-by-step tutorial that walk you through every facet of scenario creation. This is the most comprehensive online help package we have ever created for a ProSIM product. And its all available free, here at our website! To see the new online help pages, click here. ProSIM Company is looking for scenario designers. We seek to augment our current development team for several projects based on the Armored Task Force engine. If you are interested, contact ProSIM Company at info@prosimco.com. We have just completed work on the Version 1.02 Upgrade for Armored Task Force. It is a direct result of input from our great fans on this new release. We have added more features than we have ever included in a single product upgrade before. We couldn't possibly list them all here. We've also updated the demo version of Armored Task Force. So, if you haven't tried ATF yet, or tried it and had reservations, we encourage you to check it out. You can download it here. There's been a lot of activity in preparation for our next commercial release, Armored Task Force. Shrapnel Games announced Wednesday of this week that, due to delays in the reproduction of the voluminous manual, will not be able to begin shipment of Armored Task Force until 13NOV02. Right now, Shrapnel Games is accepting pre-orders. We have posted some new screen shots from Armored Task Force. These are significant because they are the first time the public has seen pictures of the Fulda Gap scenarios, set in Germany, 1989. These are also the first pictures showing off the Version 1.01 Upgrade (see below). To see the screenshots, click here. The Armored Task Force development team has completed production on this revolutionary new title. Shrapnel Games has received delivery of the software and will begin shipping pre-orders on 15OCT02. Right now, Shrapnel Games is accepting pre-orders. For a limited time, pre-order customers will receive $5.00 off of the retail purchase price. Want to pre-order? Click here. Check out the demo version today. To download it, click here. The Armored Task Force BETA testers and development team are hard at work, putting the finishing touches on this highly anticipated release. While we finish up, we have put together a demo version of the game to whet your appetite. Check out the demo version today. To download it, click here. The Armored Task Force development team has completed work on the coding and is ready to begin post-production work. As part of this process, they will be assembling a team of BETA testers to help erradicate bugs and make final tweaks to the interface. To sign up to be a BETA tester, click here <BETA closed>. We have completed work on BCT Commander, our newest commercial release. This Limited Edition of BCT: Brigade Combat Team will include the original BCT, all Expansion Packs, and the Construction Set, plus many new features and 12 new missions. Shrapnel Games announced today that they will be publishing a Limited Edition of BCT: Brigade Combat Team, BCT Commander. BCT Commander will include the original BCT, all Expansion Packs, and the Construction Set, plus many new features and 12 new missions. ProSIM, the developers of BCT Commander have also announced a mission contest. Pat Proctor, of ProSIM, said, "We are collecting submissions from BCT players for BCT Commander, our next commercial release. After we have collected all of the entries, our panel of judges will select the top twelve entries. These individuals will receive a $50 cash reward and have their names published on our website. There submissions will also be featured in BCT Commander, due for release February 2002!" To see contest details, click here <contest over>. Have you been building scenarios for BCT: Brigade Combat Team in obscurity? Want to share your creations with the world? Submit your scenarios to ProSIM Company. You could win $50! We are collecting submissions from BCT players like you for BCT Commander, our next commercial release. After we have collected all of the entries, our panel of judges will select the top twelve entries. These individuals will receive a $50 cash reward and have their names published here, on our website. There submissions will also be featured in BCT Commander, due for release February 2002! The Armored Task Force development team is almost done with the friendly AI layer for their innovative new release. To give our fans a taste of what the interface will look like, we have released some new screen shots today depicting the interface for the "Company Attack to Breach" order. The friendly AI system, now under development, will free the player of much of the minutia present in other tactical-level games. Instead of having to tell each vehicle where to go and what to do, you can give orders to the company commanders and platoon leaders of your force. They will decide how best to carryout your orders and react. The Armored Task Force development team released some new screen shots today depicting their progress on the BETA version of the newest comercial release from ProSIM Company. These screen shots show the visual interface for the new, higher-echelon AI features for Armored Task Force. To see the new screen shots, click here. A sneak preview of ProSIM Company's new project is NOW AVAILABLE! Play-testing is complete and the Alpha Technology Release of Armored Task Force is now available for free download. The Alpha Technology Release is intended to test the stability of the new Armored Task Force wargaming engine. This is the most realistic simulation engine ever developed for the PC. It models combat and combat vehicles and teams more realistically than any other wargame ever built. To get your free copy today, click here. The Alpha Technology Release is being shipped to play-testers today. We have completed the Alpha Technology Release of Armored Task Force and are shipping CD's today. When the play-testers are done, we will be offering this product as a free demo on our Demo Page. In the meantime, we have posted some more screen shots from the Alpha Technology Release. To see them, click here. The Team has been assembled! No more applications will be accepted. We have complete sifting through all of the applications and have selected 30 applicants as play-testers for the Alpha Technology Release of Armored Task Force. If you are one of the selectees, you will receive an E-Mail no later than today with instructions on the enrollment process. If you are not one of the selectees, don't get down-hearted. As soon as we have completed testing, we will be releasing the ATR to everyone as a free download! Stay tuned to this site for details on our progress with play-testing. Alpha Technology Release Testers Wanted! We're almost there! We are only weeks away from beginning play-testing of Armored Task Force, our next commercial release. We are working on the final draft version of our Alpha Technology Release. Before we open the Alpha Tech Release to the public, we are looking for 30 play-testers to help us get this product ready. This is an open play-testing call. To apply, click here. We have begun limited, in-house play-testing of Armored Task Force. We are still hoping to begin our Alpha Technology testing next month. We will be putting out a call for play-testers at the beginning of next month. In the meantime, we've posted a few screen shots to whet your appetite. To see them, click here. We've received so many questions about our current project, Armored Task Force, that we have opened a new web page for it. Go to the Armored Task Force web page to stay abreast of our progress on the most awaited release since BCT: Brigade Combat Team hit the street, two years ago. To go the the Armored Task Force Home Page click here. ProSIM Company is hard at work on their next commercial release. The wargaming world is buzzing about the most anticipated release since BCT: Brigade Combat Team. Well, rest assured, we are hard at work on Armored Task Force, our next commercial release. The development team has just released two screen shots from this work in progress. Click here to see screen shots. Now it is easier than ever to get information and downloads for BCT. There are now two new places for you to go to get the latest articles and resources for BCT: Brigade Combat Team. A special thanks to our publisher, Shrapnel Games, for offering to host these sites. To see these sights, click here. NATO Symbols are here. With the release of the Version 1.26 Upgrade, you can toggle the view of the game map in BCT: Brigade Combat Team between the old vehicle icons and standard NATO symbology. For a complete description of the changes in Version 1.26, click here. The views expressed on this website and in the articles and documents that appear therein are those of the author(s) and do not reflect the official policy or position of the Department of Defense or the US Government. Some graphic designs for this page produced by VPL Consulting. All contents of this web site, Raging Tiger, Armored Task Force, and BCT: Brigade Combat Team are the copyright ©1998-2004 of ProSIM Company. Windows and Windows 95 are the registered trademarks of the Microsoft Corporation. Any pictures not bearing the ProSIM, Armored Task Force, Raging Tiger, or BCT logo, or any graphic resources thereof, are believed to be public domain and freely distributable. Please address questions or comments concerning this site to webmaster@prosimco.com.